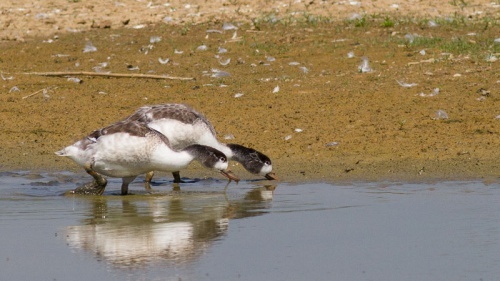 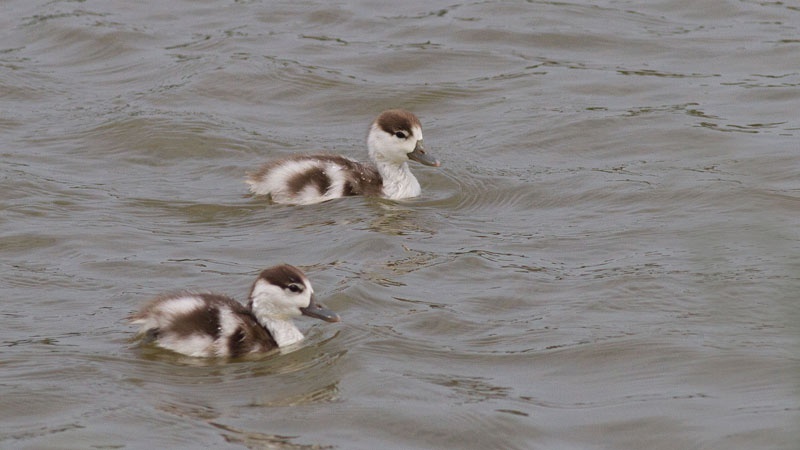 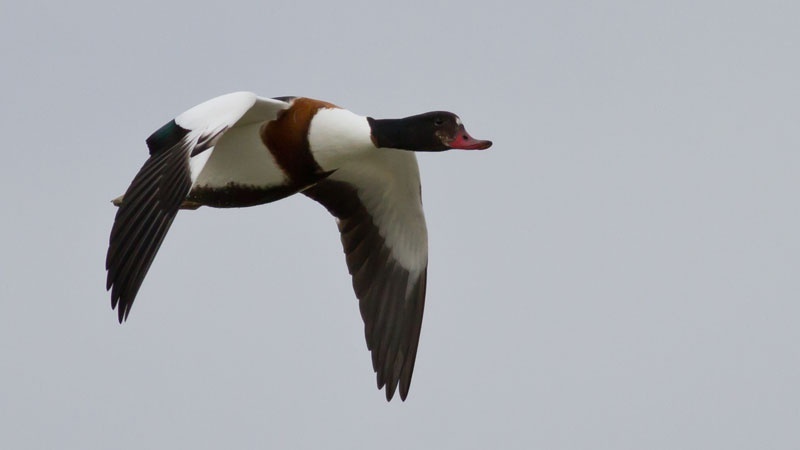 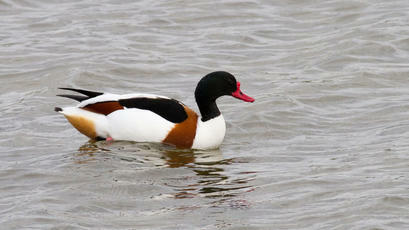 The Shelduck is a large, mainly white duck, with a prominent red bill, black-green head, and chestnut and white upper parts. 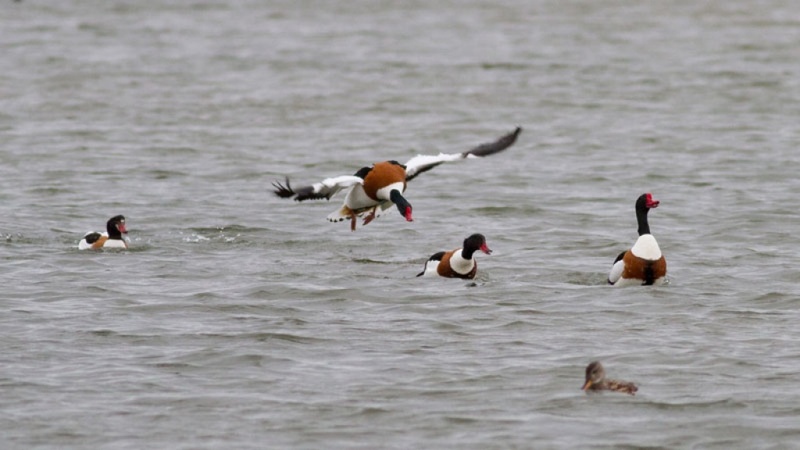 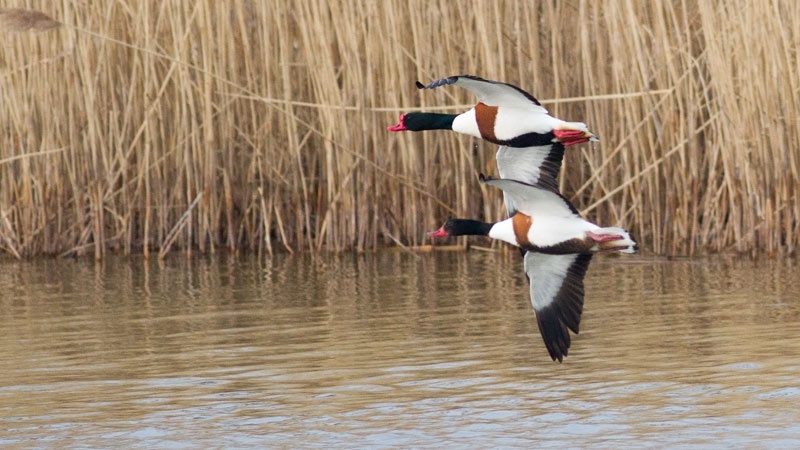 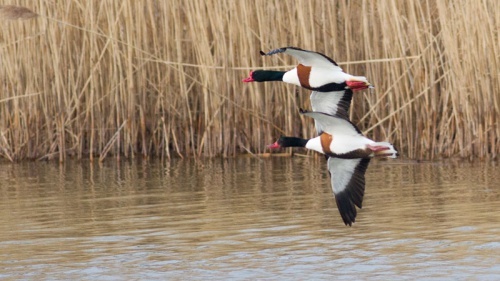 In flight, Shelducks look heavy and have slow-beating wings. 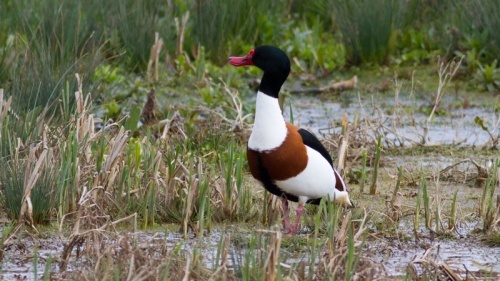 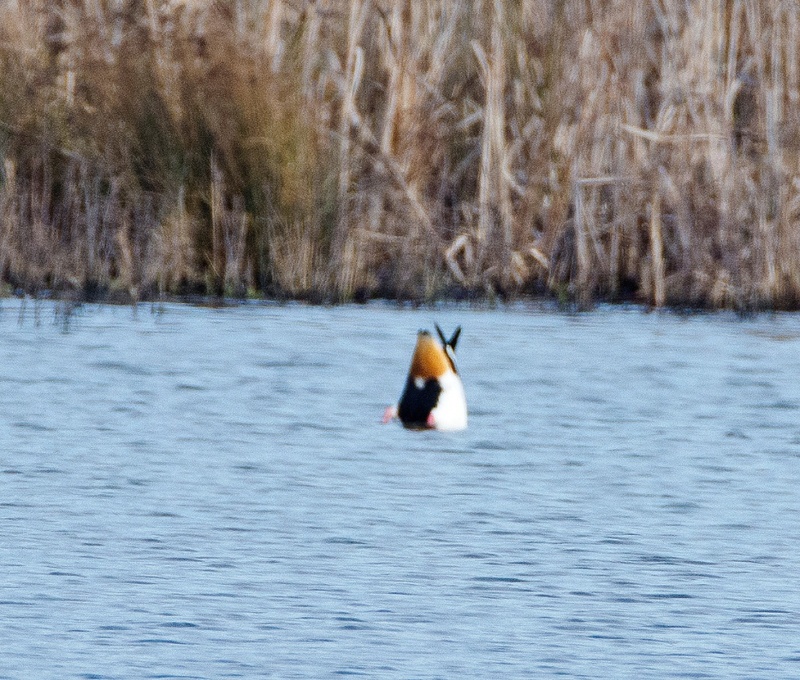 Shelducks are found mainly in coastal areas, although they can also be found around inland waters such as reservoirs and gravel workings. 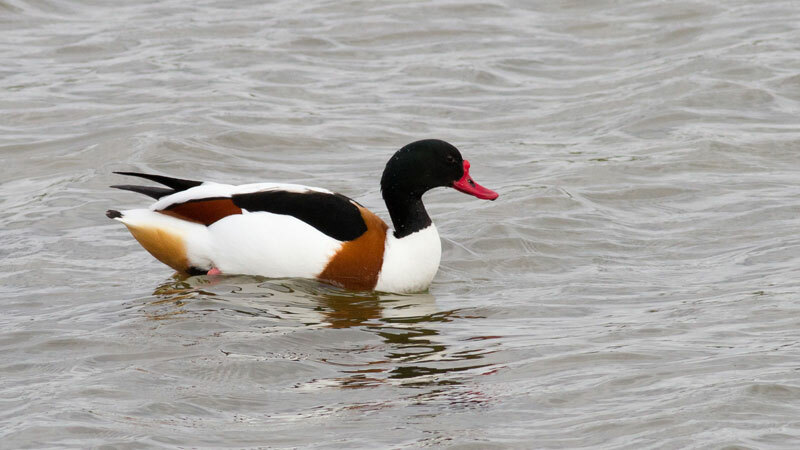 This species breeding in rabbit burrows, tree holes, haystacks or similar. 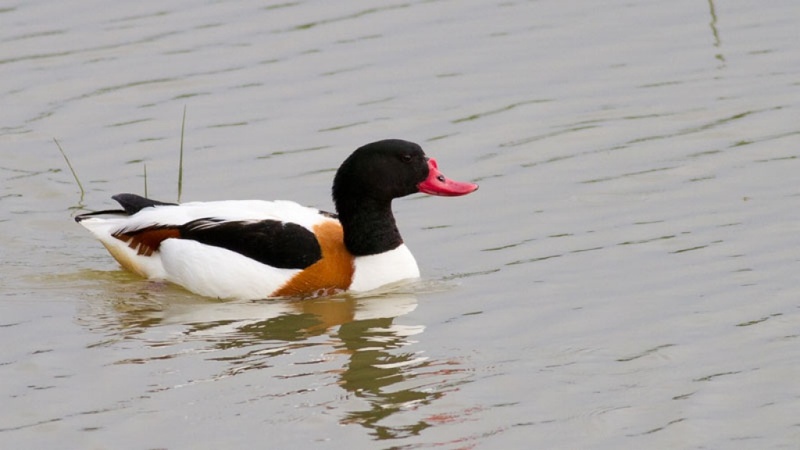 They eat invertebrates, small shellfish and aquatic snails. 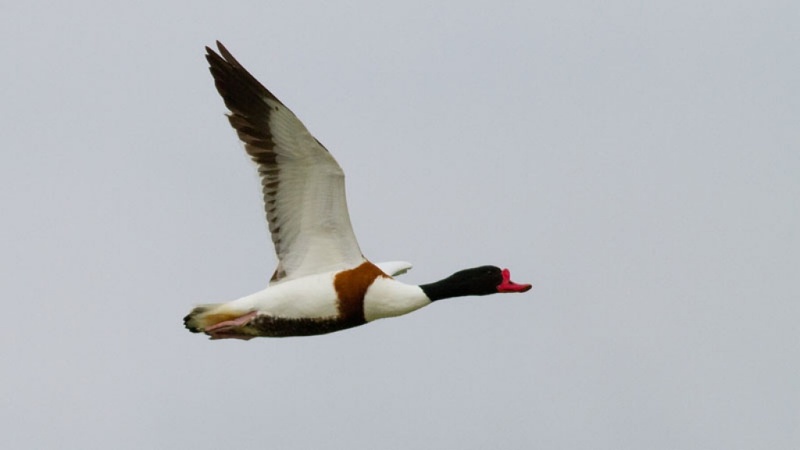 Widely distributed though mainly coastal in Britain. 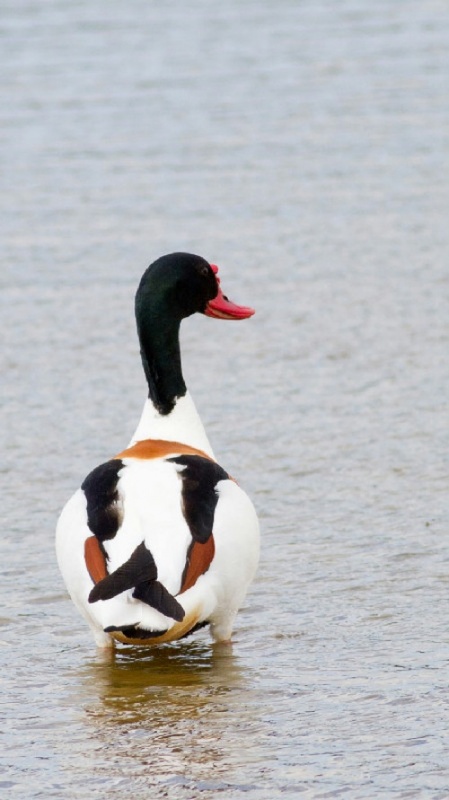 Rare escape or vagrant in Leicestershire and Rutland.